Summer is finally here, right? Well it was all guns blazing at PORC on Sunday despite the threat of rain and thunderstorms for the first weekend of summer in the UK. Fresh out of busting tyres at Fort William, Aston Hill's Glenroy Martin was on fire at PORC. The great British weather sure knows how to keep race organisers on edge but I think by now, South African-born Mike Joseph - the man behind the new race series at PORC - is getting pretty used to the weather being so unpredictable, yet predictably bad. Monster, bikes and dirt, what more can a rider want on a sunny Sunday. 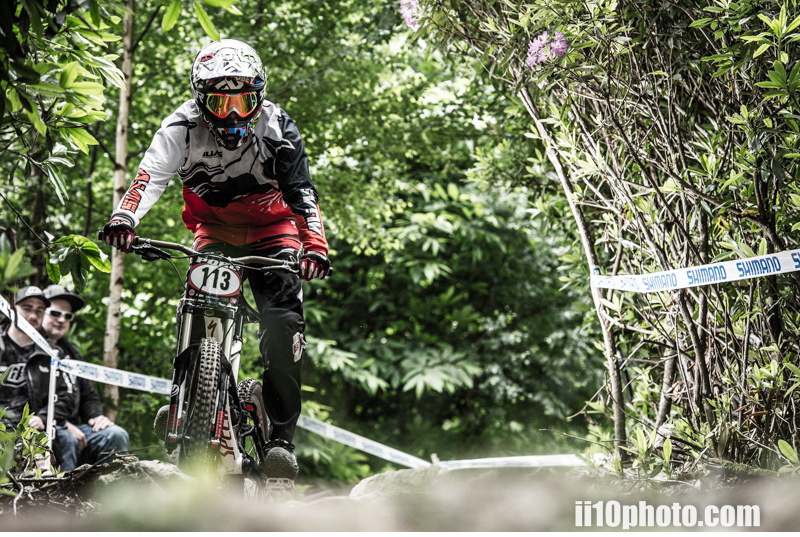 The beautiful Kent countryside played host to the ever popular grassroots downhill race series at PORC. Local racing talent amassed for Round 4 on the flower-covered, lush grassy slopes of Penshurst Off-Road Club, just a few miles from the high-street shopping and tea-drinking Mecca that is Royal Tunbridge Wells. By 9am, PORC was replete with cars and trucks of all shapes and sizes and with so many bikes galore that you could have been mistaken for thinking you were in downtown Whistler, had it not been for the odd BTR Fabrication Ripper or Belter around. In fact, the BTR race team was out en masse to support PORC and the race series. The few brave souls who decided to pretend that it was really summer, soon awoke from their slumber in their dew covered tents. A cooked breakfast via the in-park cafe was on offer to those who wanted to get as many carbs in as possible before racing commenced. Manned by Fern Joseph and Sheila Bennett, registration at PORC ran like clockwork. PORC, like some other local events, is now supplemented by an online registration system - these grassroots race organisers implement F1-style organisation these days! For each entrant, there was extra icing on the registration cake in the form of a goodie-bag thanks to Juice Lubes and High5 Sports Nutrition. With the race commencing at 11.30, riders had a chance to test their courage on the new race line, which reverted to the traditional technical-orientated track that regulars at PORC are more accustomed to, as opposed to the super-fast freeride line from Round 3. With the course starting from the regular ramp, the riders had a familiar bunch of stunts in front of them to get set up for the tech sections. With a table, then double and then step-up, riders then had to take a slight left-hand bend and onto a row of half-sunken logs that put both the riders and their suspension through its paces. 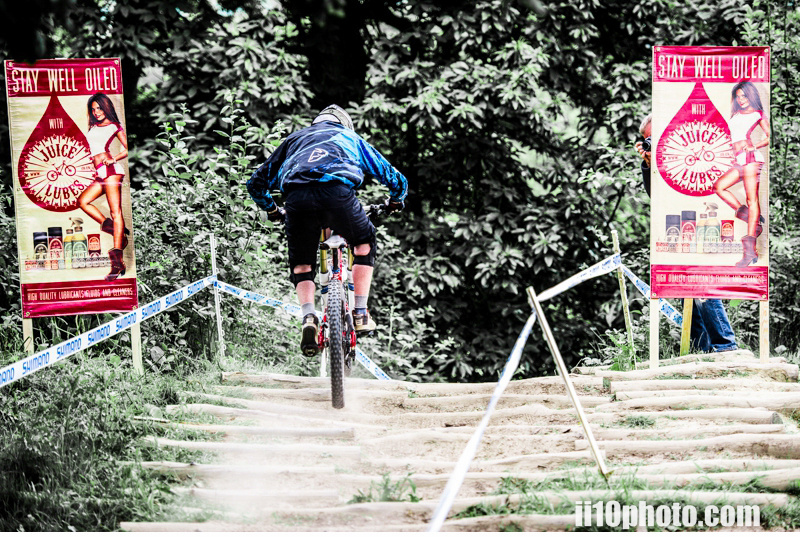 Within a fraction of a second, riders were forced down a steep and tight switchback. This feature caught a number of riders out and was the hot-spot for spectators to watch riders try as they might to defy the combined pull of gravity and motion. Once beyond the switchback, riders were able to pick up speed with a couple of crank turns, before a big ladder drop. With a berm in the landing zone, riders had a few moments to decide how zesty they were feeling, with some obviously feeling it more than others! Some riders looked super cool here with their precision riding, whilst others pushed physics a little too much, which resulted in some unintended consequences! Another styling opportunity was the blind left-hand hip following the berm. Prayers to the god of dual-ply compounds were in a lot of riders' minds as it was a close call on whether their tyres would float through the rock garden or suffer dreaded pinch flats. Out of the rock garden, riders were faced with a small road gap which should have been easy but for some it was one of 'those' moments. If riders were lucky enough to get that far without mishap, they were over another big ladder drop and into some long enduro-style turns. It was a good spectator spot, as riders were huffing and puffing by this point, trying to get as much oxygen into their lungs, ready for the final sprint to the finish...give or take another road gap or two. In the cool shade of the wooded section, riders were greeted by the familiar 'beep beep' of the Mikrotime device, and had a chance to chat with fellow out-of-breath riders about their race run, whilst they spotted their positioning on the timing screen. All in all it was a good day's racing, with Aston Hill dominating many of the podiums along with BTR Fabrications Team and Team Bull Track. 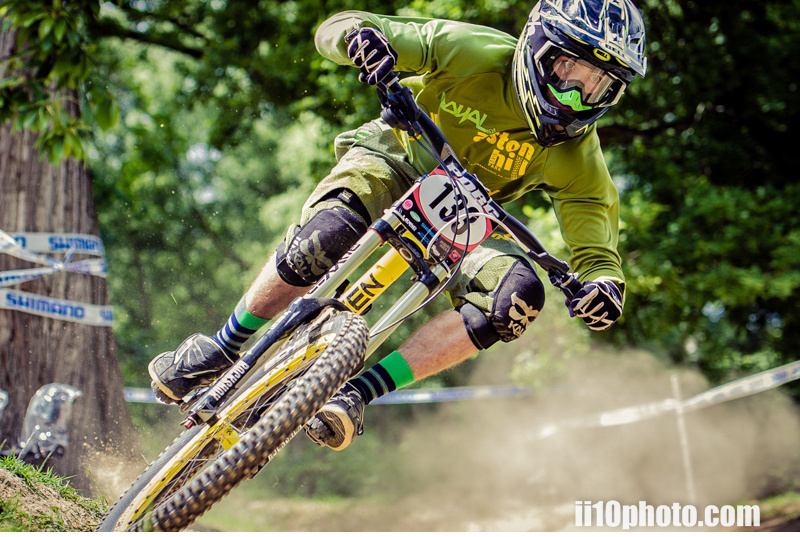 It's pretty evident that grassroots racing in the South East of England is becoming a prime location for up-and-coming riders, with numbers swelling in the women, juvenile men and young ripper categories, along with the talent. The future's bright for kids and it's all down to grassroots races like the ones at PORC. Thanks to the riders, spectators, medics, marshals and all sponsors for their unfailing support and making our grass roots racing such a huge success: Downhill Freeriders, Juice Lubes, Whisper Bikes, Moose Cycles, Hope Tech, Mucky Nutz, Monster Energy UK, Madison UK, Wizard Wash Products, ii10photo, geebeebee media, Drift Cycles and BTR Fabrications. Full race times can be found on Mikrotime's website. Catch up with PORC via the Facebook page to find out when the next race is! 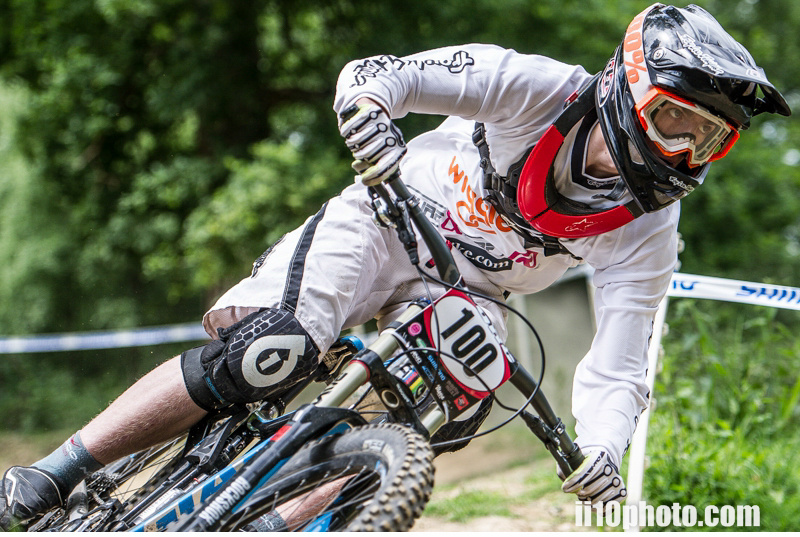 fantastic idea having local races on pink bike, a great way to spot talent.. fast times as well and great photos! 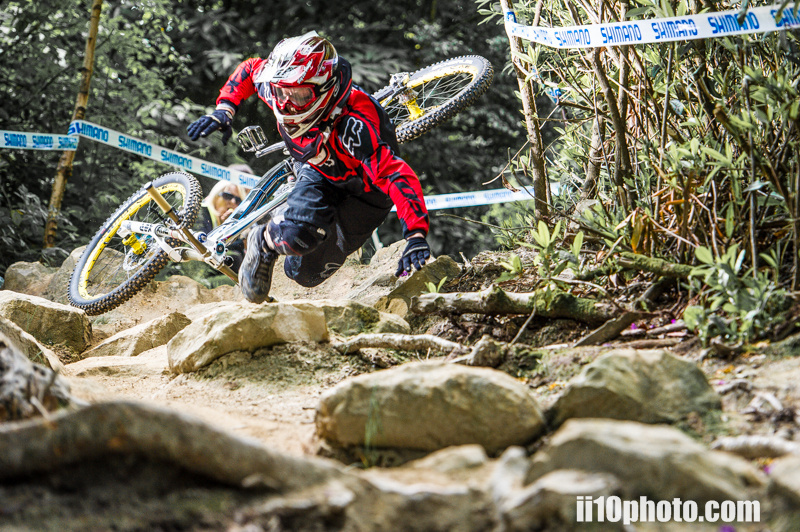 nice one geebeebee..
Glad to see that PORC is/has become the best downhill and freeride bike park in the south east. 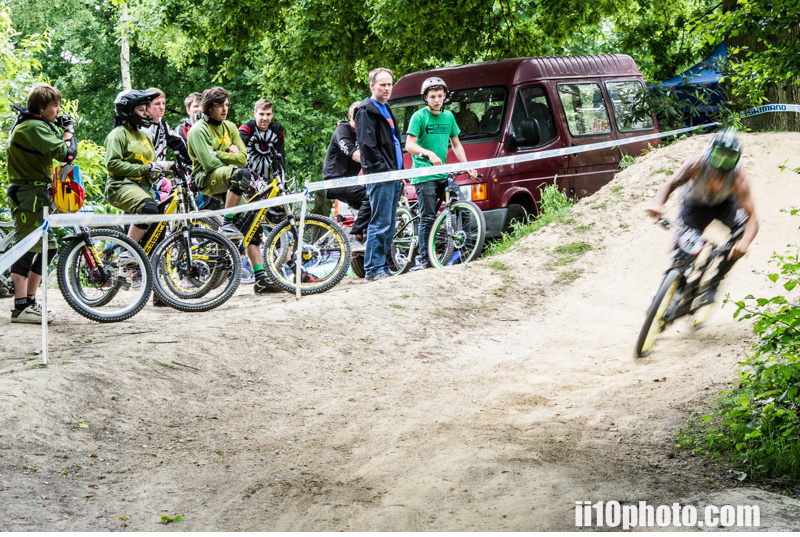 It was one of the best races to date at PORC, wouldn't you agree ? Awesome to see PORC on first page of Pinkbike. Great write up! Thanks guys! Sorry about not capturing all the riders' sponsors but I only had what was on the Mikrotime site. Absolutely brilliant day, so glad I could make it. Great idea to post a race report on here too! thanks Mike Joseph for organising such a great event yet again. no doubt PORC is the best bike park in the south east now! and wahaay im in the pictures! excellent write up and photos .. awesome to see local races making the front page! Well done glen Roy nice to see pinkbike covering these races. Nice pick of Alex with his belly out lol. 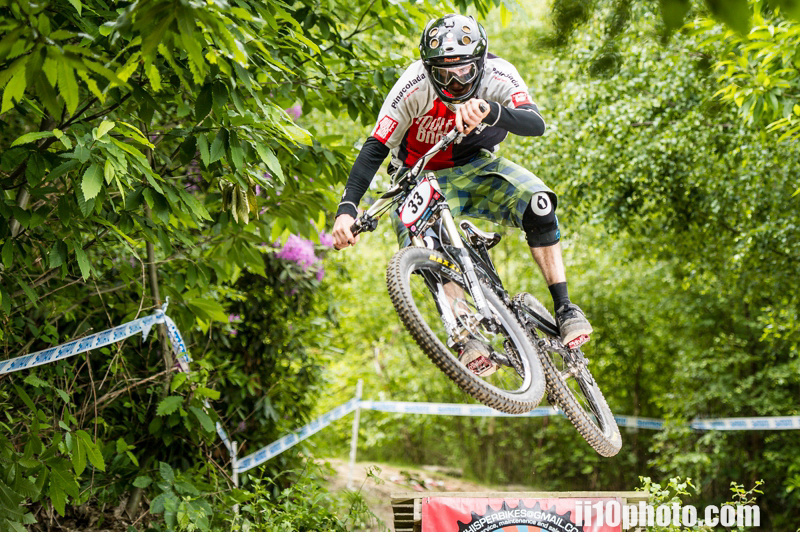 Love racing at porc, cant wait to see more on pinkbike. How tight are the vets times! Wink, wink! Great race report GBB ! PORC races are the best!! such a good vibe going on there, everybody just has such a good time. Imagine what could be if you gave Mike Joseph a mountain to work with!? By the way it is a Championship Race! 3 more Rounds to come!!! Awesome report guys, looking forward to the next round! I loved racing here what are the prices now ? £20 for race day dude! WE gonna see you at the next round? Yh maybe how do you get there ?